So far, we haven't been hit by anything, but I know it's coming especially with school starting back up again soon. 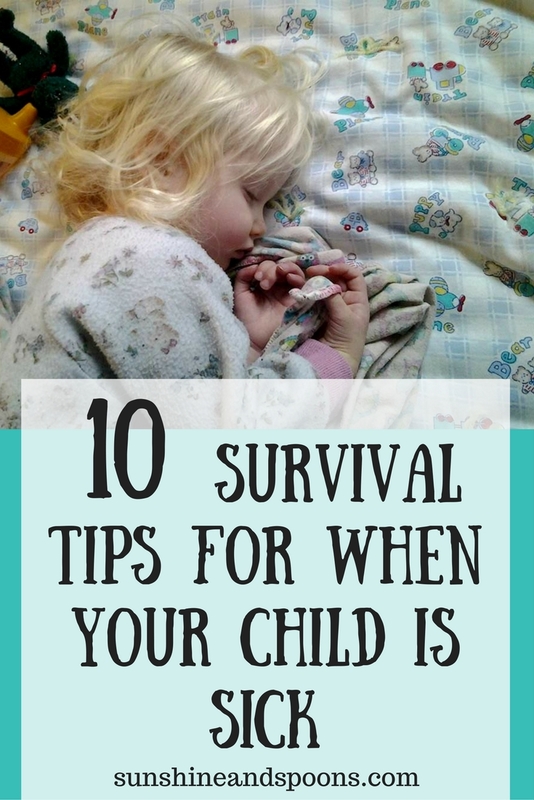 To make things a little bit easier, I thought I'd share with you some of tricks I use to prepare for and survive when my kids get sick. Keep empty ice cream buckets under the kids' beds at all times. My older kids know they're under there and can grab them if need be. Also, this way, I'm not scrambling to find a bucket in the middle of the night. Pro tip: line the buckets with several layers of plastic grocery bags. Clean-up is so much easier...except for when the kids miss the bucket completely. If there's any chance that someone will throw up during the night, I lay several layers of big bath towels or blankets on their bed. There's nothing worse than having to re-make a bed in the middle of the night so grabbing a towel off the top of the bed and throwing it in a laundry basket makes things so much easier. If the first round of vomit caught you off guard, strip the bedding and throw some towels or blankets over the mattress until morning. It's also a good idea to keep some flannel backed vinyl tableclothes on hand to protect surfaces. Stock and keep a zippered tote bag for each kid with an extra set of clothing, a towel, and a garbage bag (for dirty clothes) in the car. It's also a good idea to store some wet wipes, paper towels and disposable vomit bags in the car as well. 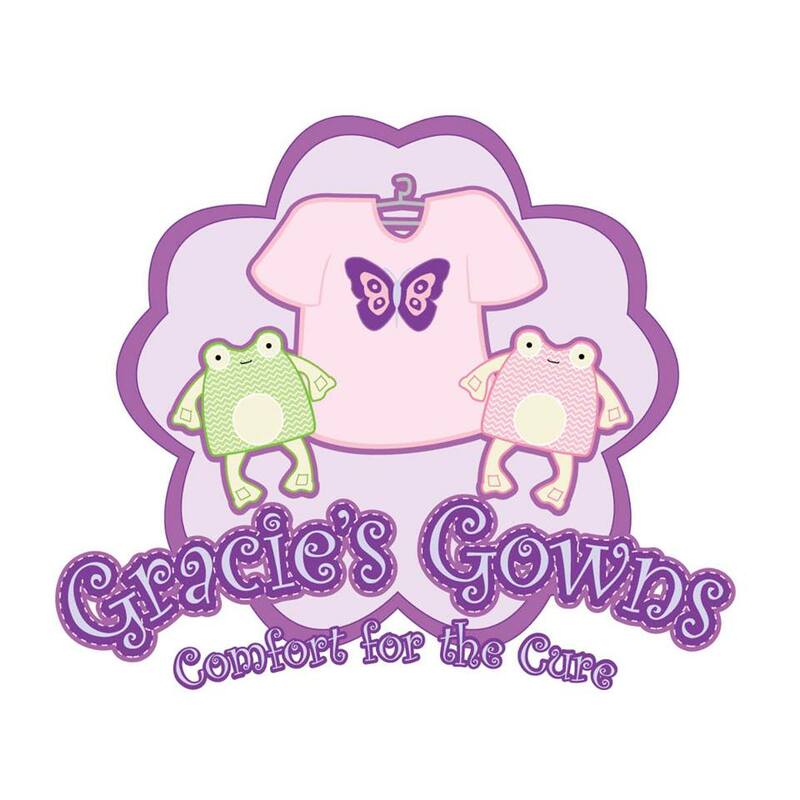 Kids are notorious for throwing up while you're out and about so having something extra for them to wear can be a lifesaver. I currently need to restock Nano's extra set of clothing as he got hit by motion sickness pretty hard while we were on our way to appointments last week. Simplify giving medications. Tape a dosage chart for tylenol and other meds inside your medicine cabinet. 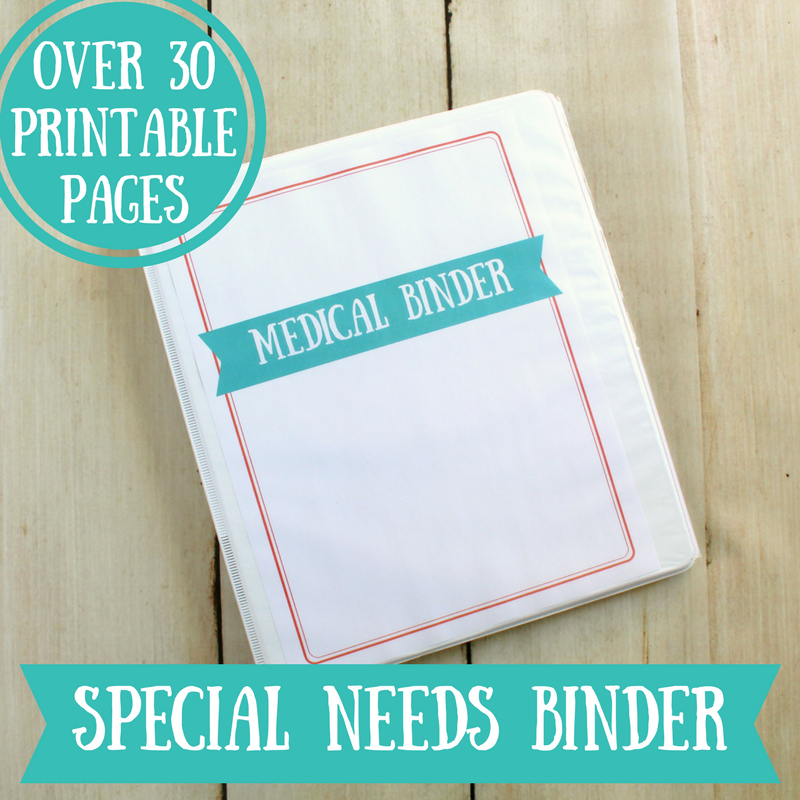 I have a box set up just for medication and other stuff we may need (thermometer, saline, etc) when the kids are sick so I can easily find what they need and move the box to wherever they are. 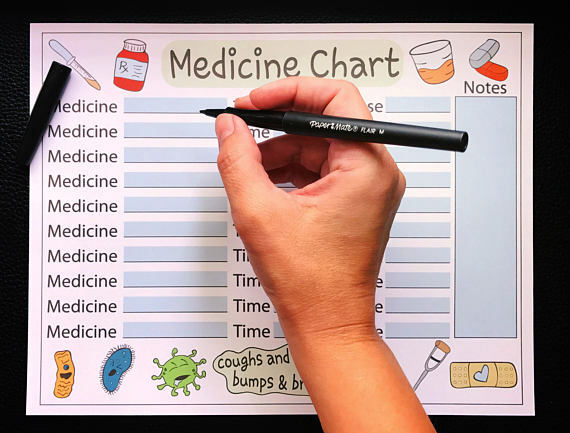 It's also helpful to have a medicine chart (like this printable one) where I can track when and what I gave the kids because when I'm operating on sick-child time (aka, no sleep), I get very forgetful. 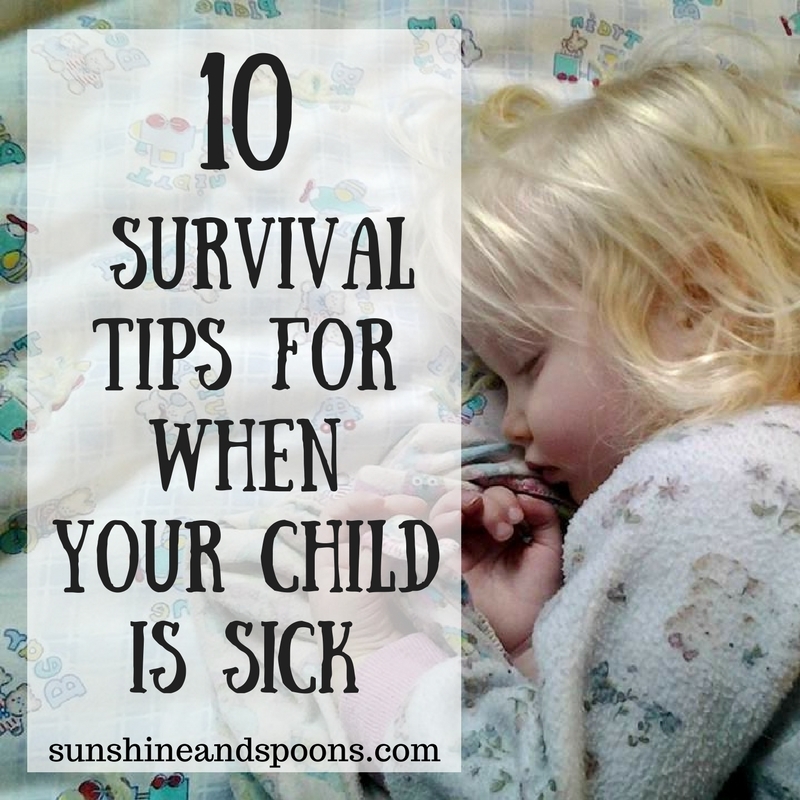 Move the sick child to a location where you can keep an eye on them. I throw a big blanket over the couch or on the floor and set up a "sick spot" with a bucket, tissues, wet wipes, a few books, and some small toys. If the blanket gets dirty, toss it in the laundry and replace it with another one. This is another time the vinyl tablecloth can come in handy. Just lay it under the blanket to protect your floor or couch from leaks. I keep a few pull-ups in different sizes on hand for times when diarrhea strikes. 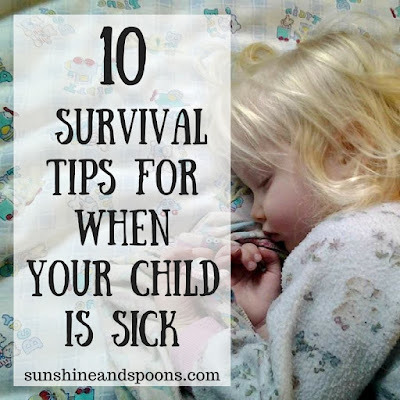 My kids have never complained about wearing them when they're sick (I have one child who asks for one as soon as he/she feels it coming on, which thanks to EDS is pretty frequently), and it saves a lot of messes. Obviously, this only works for younger kids. I plan a "catch-up" day for household chores after everyone is better. 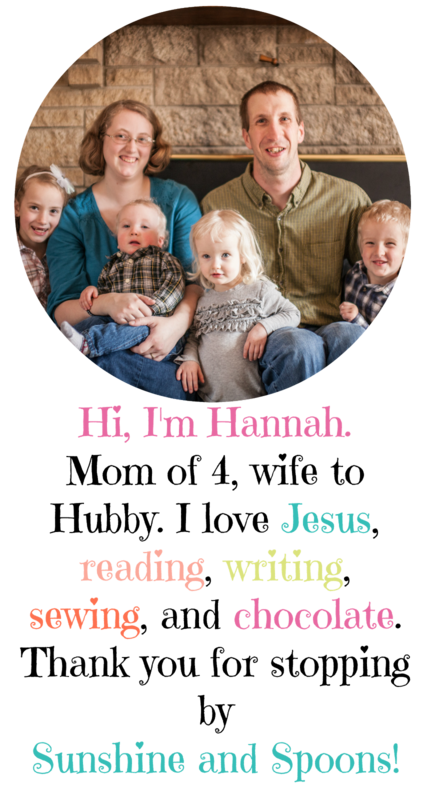 I can relax a little bit about the disastrous state of my house when I'm too busy cleaning messes and rocking sick little ones to clean if I know that I will spend a day catching up when it's all over. I keep Gatorade in the cupboard, and my kids know that they can only have it when they're sick. I don't want them getting dehydrated! Also, even when my kids are past the sippy cup stage, I keep a few on hand so they can sip a drink and stay hydrated while they're resting without worrying about spilling. We use Young Living essential oils to support our health when we're doing well and to help relieve symptoms when we're sick. Thieves and R.C. are two of my favorites. This post from Young Living gives some tips for using essential oils during cold and flu season. I also use my trusty Snot and Chest Rub to help them sleep better at night. Pull out the trusty cool mist humidifier. I keep one in each of my kids' rooms because they make such a difference in helping them sleep better. I also usually move one of my Young Living diffusers into their rooms overnight to diffuse oils such as R.C. or lavender. Interested in using essential oils to support your family's health? Like the Oily Acres Facebook page to learn more and sign up to be a member here! Ice cream buckets! What a great idea for vomiting. I made it a game where they needed to try to get a bulls eye into a large bowl so that it didn't get all over the place. Such great advice! I wish I had this when my kids were still little.